Total Climate control of your facility. 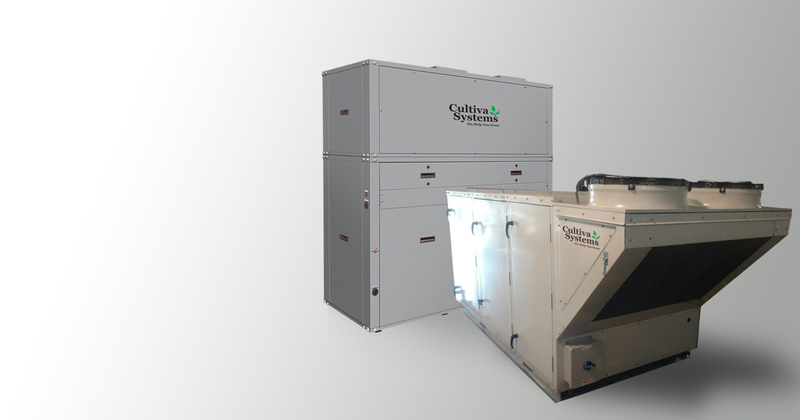 Cultiva Systems packaged units are available in air cooled and water cooled from 10 to 60 tons. Installations include roof top and ground mount. Multiple air paths with bottom discharge/return, horizontal discharge/return as well as custom top discharge and horizontal return. 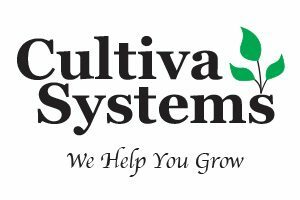 Cultiva Systems vertical and horizontal self-contained units are available in air cooled and water cooled from 10 to 45 tons. Multiple air paths with removable panels that are field configurable as top discharge, rear and front discharge with return air from the rear of the unit. The FS32 controller’s built-in Web Server, powered by PHP and HTML5 graphics, is multi-platform and multi-device compatible. User connectivity can be hard wired by Ethernet or is WiFi accessible with our supplied router. A rich, informative user interface is provided for operational status, I/O monitoring setpoint adjustment, configuration, internal scheduling, historical data collection and alarm reporting. Application backup and restore features are a part of the user interface utilities as well as customizable user access accounts. Integration with building automation systems made easy with native BACnet IP / MSTP and Modbus TCP / RTU. Our standard sequence of operations includes space temp/humidity control, CO2 injection, purge, high CO2 alarm strobes and lighting.